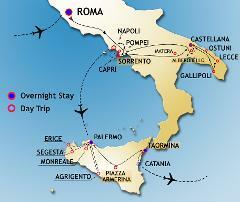 13 days Tour from Palermo visiting Sicily, Tuscany and Cinque Terre. Semi Escorted Tour - Departures every Saturday. A great view of Italy and Sicily including the most important highlights. 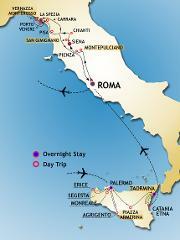 14 days Tour from Palermo to Venice. Semi Escorted Tour - Departures every Saturday. A great view of Italy and Sicily including the most important highlights. 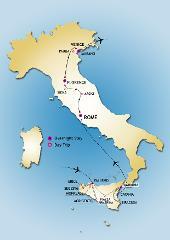 14 days Tour from Rome to visit Rome and the magnificent South Italy including Capri, "Trulli" of Alberobello and Sicily. Semi Escorted Tour - Departures on Saturday.